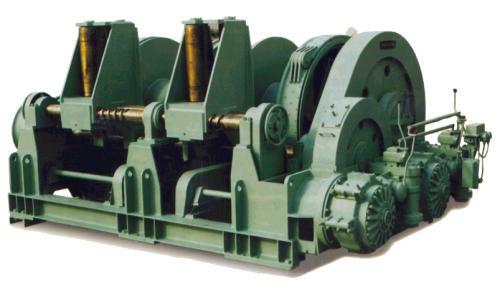 For all types of tugs, also combined with cable lifters. Design: with partially enclosed 2-stage gear, grease lubricated, with drip protection sheet. Driven by low-pressure hydraulic motors with manoeuvring valve, change-over valve, built-in throttle valve and connection casing for remote control. Foundation frame of torsion-free welded steel construction on which aforementioned components are installed.